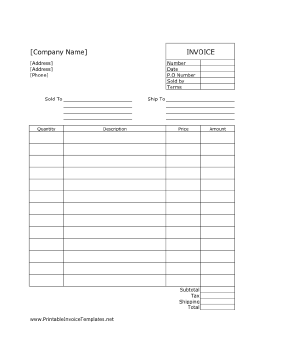 A printable invoice for commercial purposes. It has room for detailed shipping and purchase information such as prices and quantity. It is designed in portrait orientation and has lines. It is available in PDF, DOC, or XLS (spreadsheet) format.